Regardless of your thoughts on the rest of the film, “Shallow,” the Oscar-winning single from A Star Is Born, is undeniable in its excellence. Whether it’s the simple opening melody, the triumphant pre-chorus, or the “Sha-la-la-la” harmonies, there is bound to be something in the song that worms into your ear. 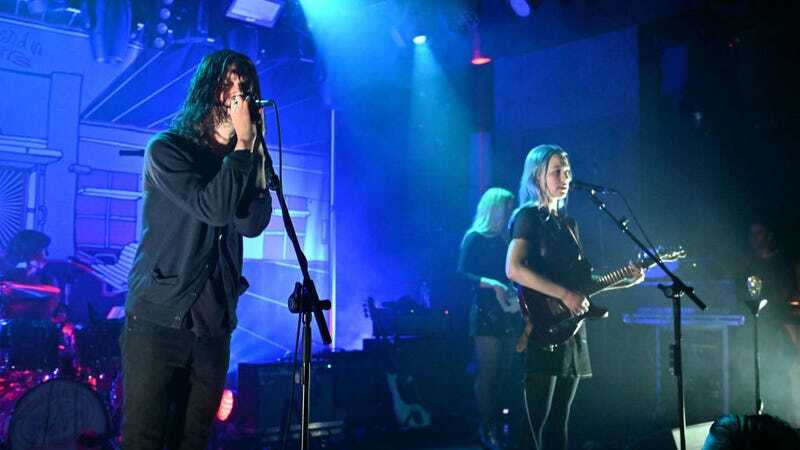 Last night, as Vulture reports, Conor Oberst and Phoebe Bridgers proved that even the cool indie kids aren’t immune to this infectious pop ballad as they performed a cover for an audience in Brooklyn. Admittedly, Oberst made a small change to one of the lyrics that almost qualifies as parody, and definitely qualifies as a spoiler. Cheeky lyrics substitutions aside, the goosebumps are in full effect when Bridgers belts out that pre-chorus. She’s singing in a register and with an energy that’s not often heard in her more sedate solo work, but she’s unquestionably got the pipes. She and Oberst, who make up the two parts of Better Oblivion Community Center, have been routinely slipping covers into their sets throughout their tour, but we wouldn’t mind if this became a regular staple.